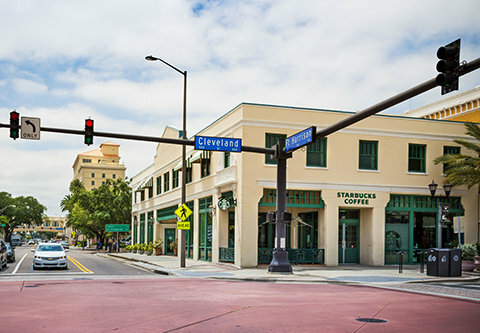 Downtown Clearwater contains an eclectic array of architectural design; Mediterranean Revival, Art Deco, Neo-Classical, Early Commercial, International Style and others. 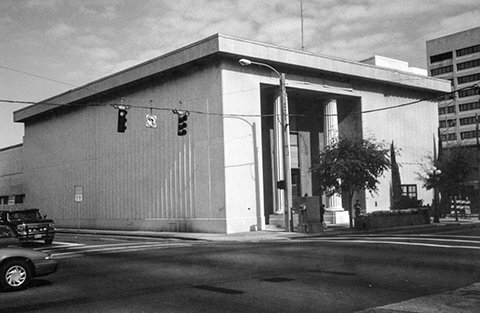 As different fads came and went, downtown façades were altered to fit the “going thing” at the time. 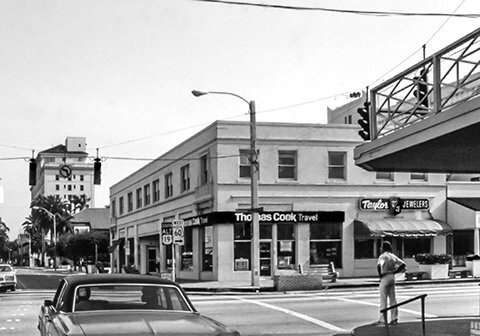 In the past 20 years, property owners have taken the time and care to remove “modernizing” details to bring new life to their property and restore the heritage of downtown Clearwater. 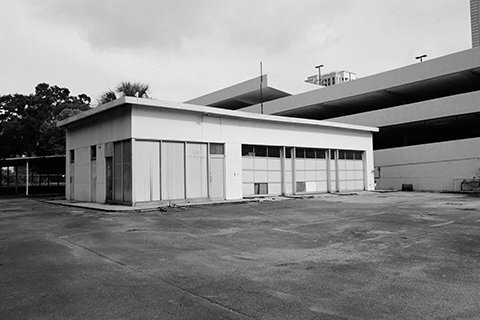 The Church of Scientology purchased this retired service station from Pinellas County and converted it into a walking park. In 2013, the 38,264 square foot Fort Harrison Park was opened to the public. The park includes more than 3,200 trees, plants and shrubs. The centerpiece of the park is a 200-year-old, 45-foot oak tree. The Peninsular Telephone Exchange Building was built in 1906. 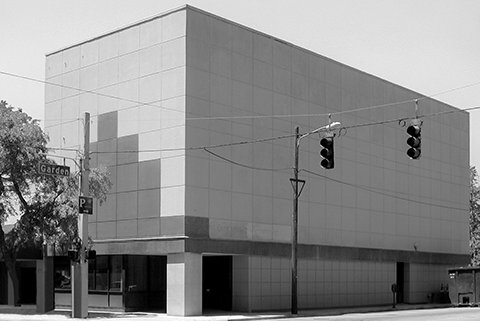 The original brick façade was later encased with cement panels. Recognizing the historical value of the building, a property owner restored the façade to its original brick in 2006. 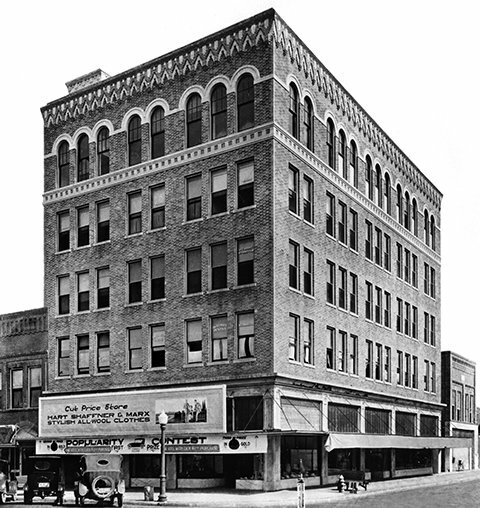 The Coachman Building was Clearwater’s first high rise when it was built in 1916. Now nearly 100 years later, the property has undergone a complete restoration of its brick façade and a top to bottom renovation of the interior. 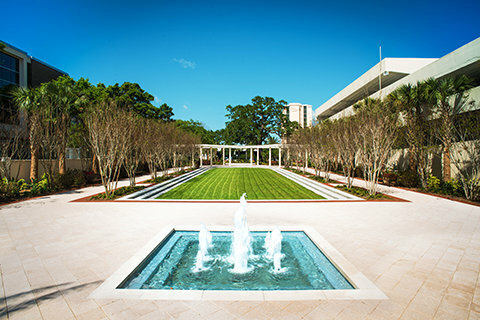 This facility is a religious service and study center for the staff of the Church of Scientology. 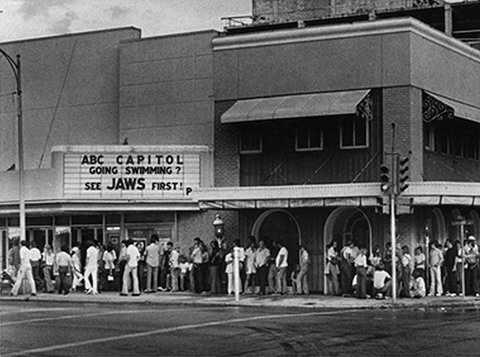 The Capitol Theater underwent a similar “modernization” to the Telephone Exchange after the original façade was damaged during a severe storm. 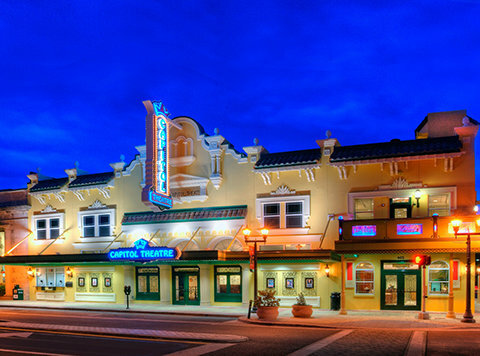 Brought back to life by Ruth Eckerd Hall, the Capitol Theater’s new façade honors the original architecture of the theater. Photo courtesy of Creative Contractors. 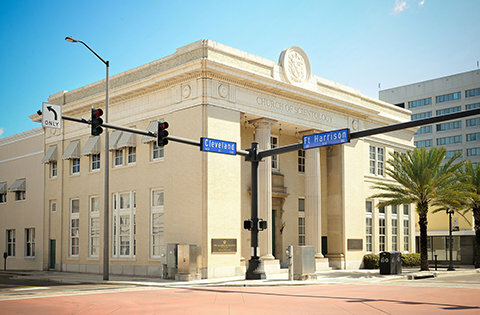 The old Bank of Clearwater, built in 1918, received a similar “modernizing” treatment to the Telephone Exchange Building and the Capitol Theater in the 1960s. 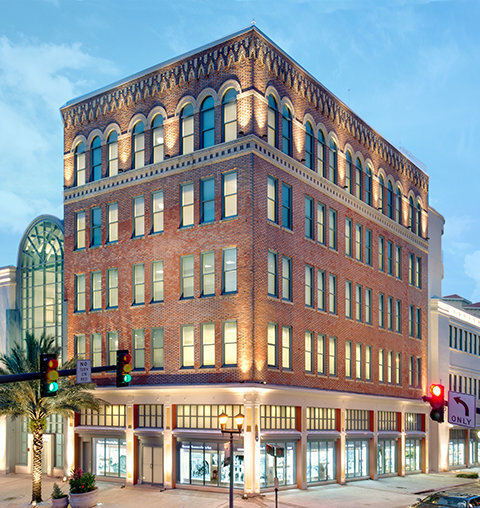 Purchased by the Church of Scientology in 1975, the Clearwater Building was fully restored in 1995. The Wiseman Building was constructed in 1911, shortly after the fire of 1910 wiped out most of the block on the opposite side of Cleveland Street. Used throughout the years for offices, it became worn and battered. 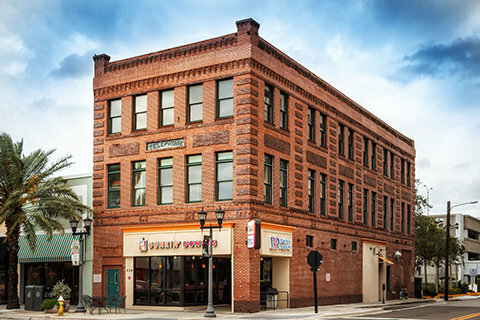 The Wiseman Building was restored in 2001 and can be seen right across the street.